35 W Tenth Avenue, Southern Shores, NC.| MLS# 102642 | Outer Banks Homes For Sale, North Carolina Home Search Including Nags Head, Pirates Cove, Manteo, Kill Devil Hills Kitty Hawk, Southern Shores, Duck, and Corolla North Carolina, Oceanfront and Soundfront properties for sale and long term rentals. 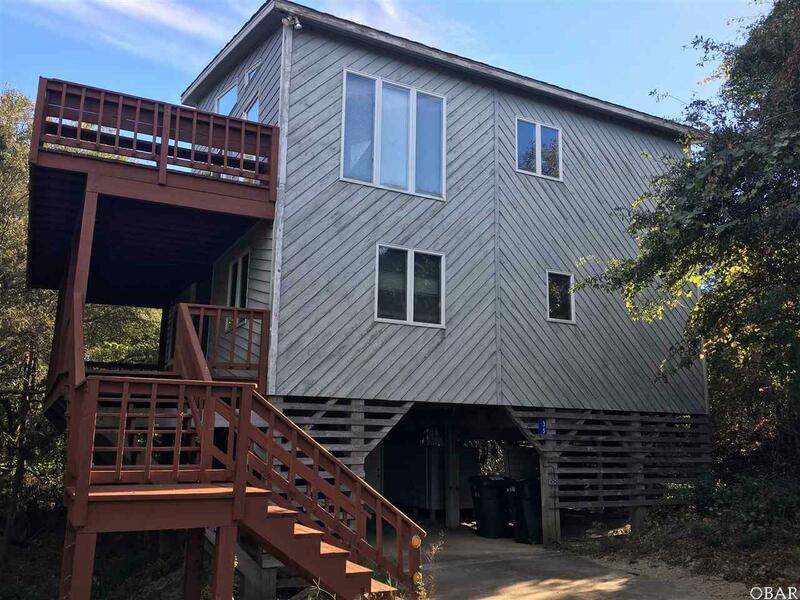 Southern Shores west side with easy beach access - located up the hill on 10th Street this 4 bedroom 2 full bath home is suitable for 2nd home, weekly rental or year round. This one will make a good project for you to do some upgrades and furnish if you want to make it a weekly rental. Nice large sun deck on the east side. Come take a look today - EZ to see! See attachment for PAS requirements and WFHM offer submittal information in MLS document section. Please submit all offers to the listing broker/agent. To report any concerns with a listing broker/agent, or to report any property condition or other concern needing escalation (including concerns related to a previously submitted offer), please call: 1-877-617-5274 See attachment for PAS requirements and WFHM offer submittal information in MLS document section.